Hello everyone! 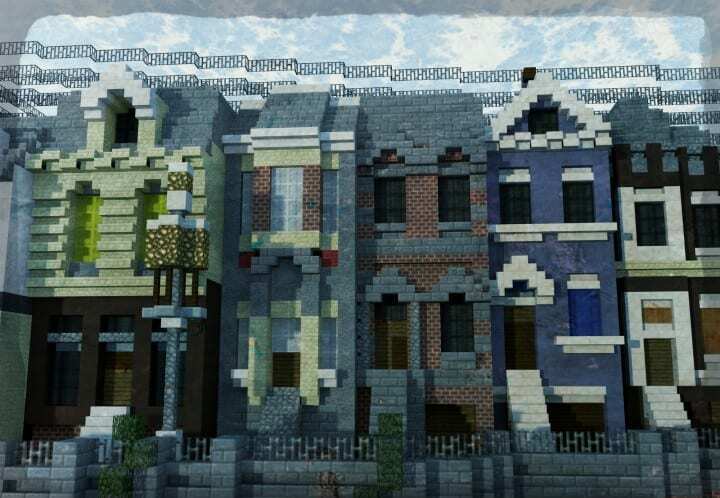 finally we have a new map update: the city has grown considerably. 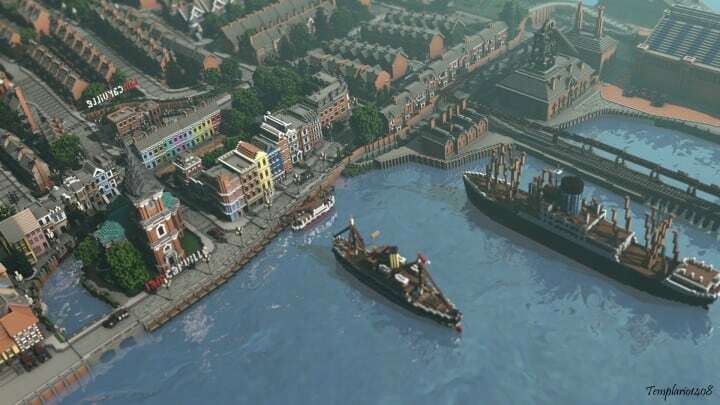 Explore the Industrial Revolution world! Does this city really exist? 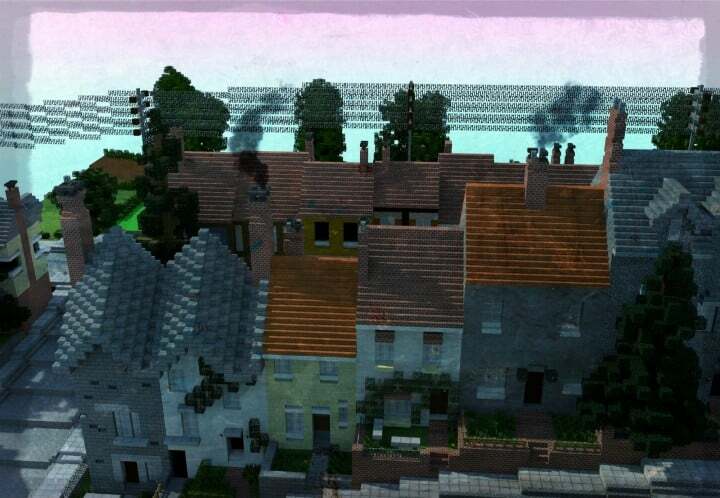 This is a fictional town. Is the result of England, France and Chile. 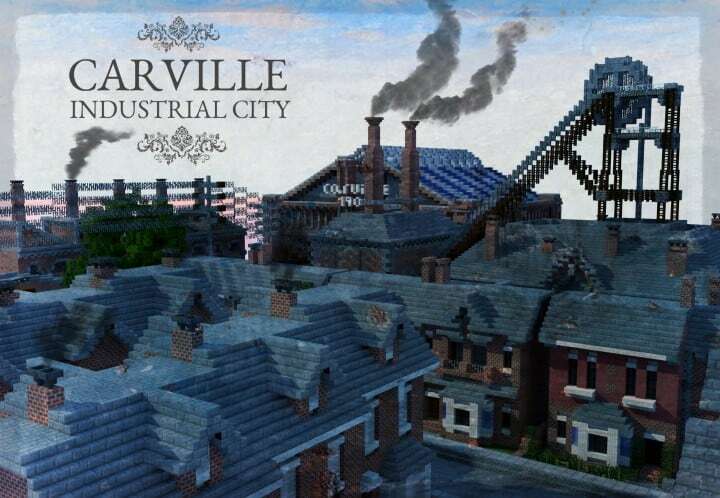 England + France + Chile = Carville: Industrial city! My name is Andy, I live in Lota and I like to build in Minecraft. Hello how are you? 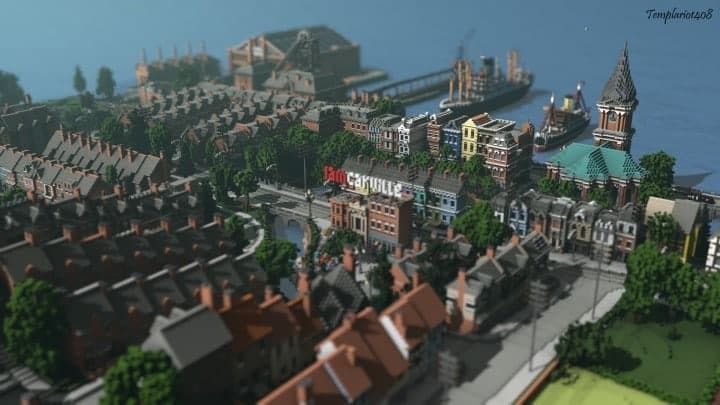 I have a problem : I (AndyWild) built this map “Carville Industrial City” but I put this city on Planet Minecraft originally. Thanks for giving me the credits but you must indicate the Planet Minecraft Link to download my project. It is not necessary to remove this project, only indicate the original link.